New and refurbished homes for social rent, shared ownership and outright sale delivering high-quality architecture regardless of tenure, expressed through generous layouts and elegant materiality. Kings Crescent Phases 1 & 2 consists of 273 new and 101 refurbished homes (41% social rent, 10% intermediate) within a 765-home masterplan. The project is exceptional for many reasons; firstly, its commitment to delivering high-quality architecture regardless of tenure, expressed through generous layouts, elegant materiality and beautiful, hardwearing detailing. 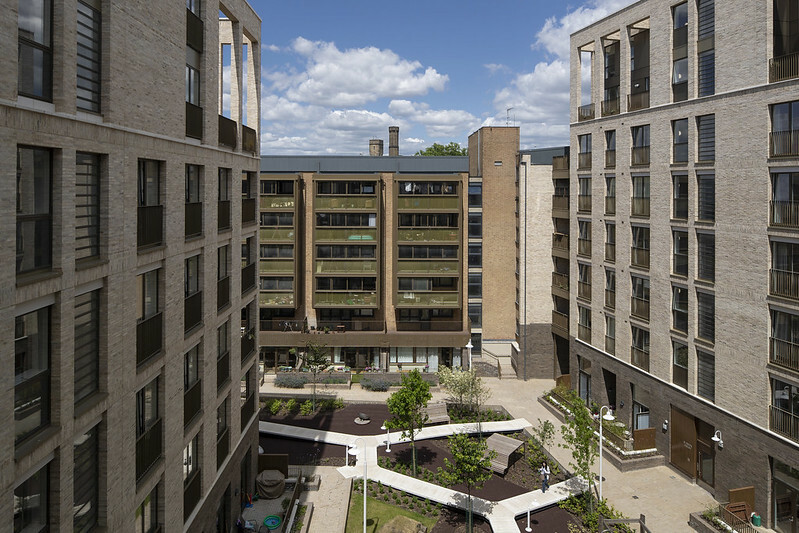 Secondly, its innovative approach to retaining and upgrading existing social housing, creating sensitively designed new buildings and unifying the two with a people-focussed public realm which reconnects the estate with the neighbourhood. Thirdly, its approach to working with estate residents throughout, ensuring the design reflects their needs and makes the greatest positive social impact. The design creates a balance between variety and consistency, alternating between two architectural practices. It bridges the gap between confident buildings for higher-density living and fine-grain detailing, with attention paid to proportion, scale and elegance. 3 new buildings use a simple palette of high-quality brickwork, concrete, aluminium and steel, with solid timber in entrances and balconies. Tenure-blind communal lobbies are skilfully detailed to celebrate social and circulation spaces. Existing homes are transformed with generous balconies and wintergardens, and garages converted into street-accessed family homes which activate the frontage. Beautifully landscaped courtyard gardens connect new and existing buildings. The new playstreet at the heart of the estate is creatively furnished, promoting a sense of community and delight. Kings Crescent represents an alternative model to the usual wholesale estate demolition and rebuild, allowing residents to remain in their homes whilst delivering new, high-quality, tenure-blind housing. Its success is the result of a strong collaboration between the council, design team and community, paving the way for other boroughs to follow.